This is a post that was not intended, however over dinner one evening Jill and I were reflecting on the year that we had experienced since our return to Australia. The first and most obvious issue was that of getting ourselves re-employed and all our debts paid off. This, as it happened, proved much easier than expected. Other major issues were the change of mindset between travelling and staying put. Seeing family was great but the itchy feet after 4-8 days is something that took some serious adjustment. But let’s do this systematically. We arrived back in Australia in late December 2014 to find that our blog had already told everyone what we had been up to. This translated to a general pleasure that we were home but none of the fussing and storytelling that would normally accompany the return from such a journey. This was highly understandable and simultaneously both a blessing and a touch disappointing. So we were a short term novelty and then life carried on. But we were in our home town, surrounded by family, just in time for the boy’s birthday and the family Christmas celebrations. We set up camp at my sister’s house and revelled in the Queensland summer with her pool as a get out of jail free card from the humidity. 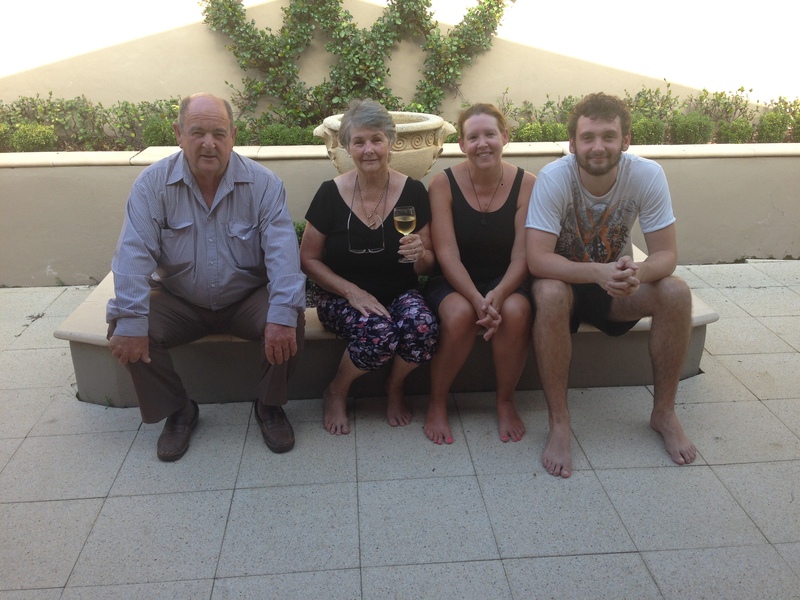 We ate, we drank, we caught up with family and friends, and generally just got back in the swing of being in Australia. We had some relatively minor bills (and of course a mortgage) when we landed home and no jobs to service them… Back to the real world I guess. Having travelled for so long and not having had a home to speak of we were not fixed on any single location. So we did a deal, “First one to get a good job wins”. So we both applied furiously for any job we could think of or that amused us. Jill of course won this…twice. 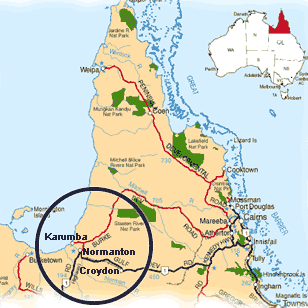 The first win was for her to obtain a job as a clinical team leader in the town of Normanton in far north Queensland in the Gulf of Carpentaria. This was an almost a six figure job that had the benefit of having a 4 bedroom house thrown into the package. I had a job offer back at my former employer (and back in Canberra) but my security clearance was going to take a while to get back. Her job was only for 6 months and mine would take a while to come through, so the initial plan was to stay together in the interim and potentially live apart for a little while as things settled themselves…. so off we went. 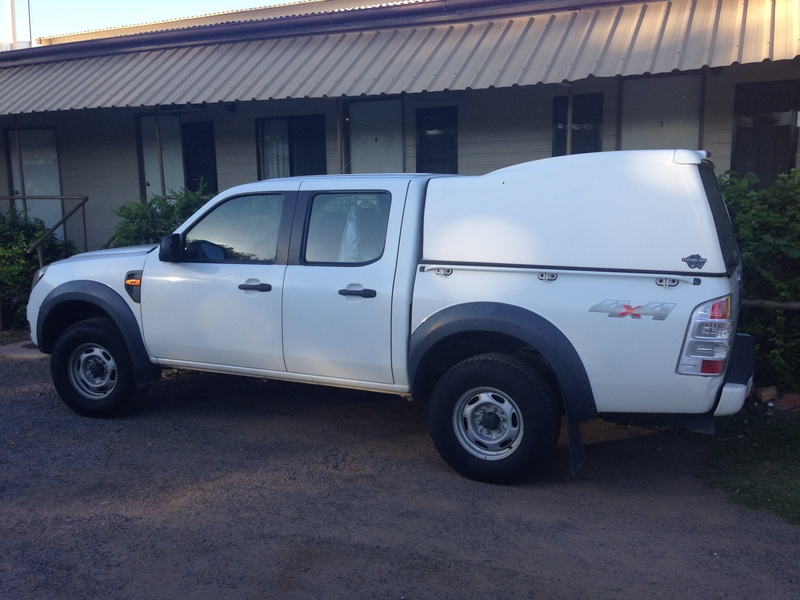 Being in the outback and in the Gulf of Carpentaria we figured Normanton would pose some logistical transportation problems so to overcome this we decided to buy ourselves the dreaded and long avoided 4WD vehicle. This is something that neither of us ever wanted and in fact both hated as we were used to seeing pristine versions of 4WDs that had never touched dirt and were solely used for dropping children off at schools and screwing up shopping centre carparks. Anyway… the search was on…we looked around and googled furiously which allowed us to find out that almost every one of the vehicles on the market have very few if any 4WD credentials. The list of vehicles that could actually be used in an off road capacity was very short. The obvious Toyota versions were excellent; however the price was on average $6000 more than for any other vehicle on the credible list. So after some hunting, and some quite entertaining lessons being learned along the way we settled on a Ford Ranger. 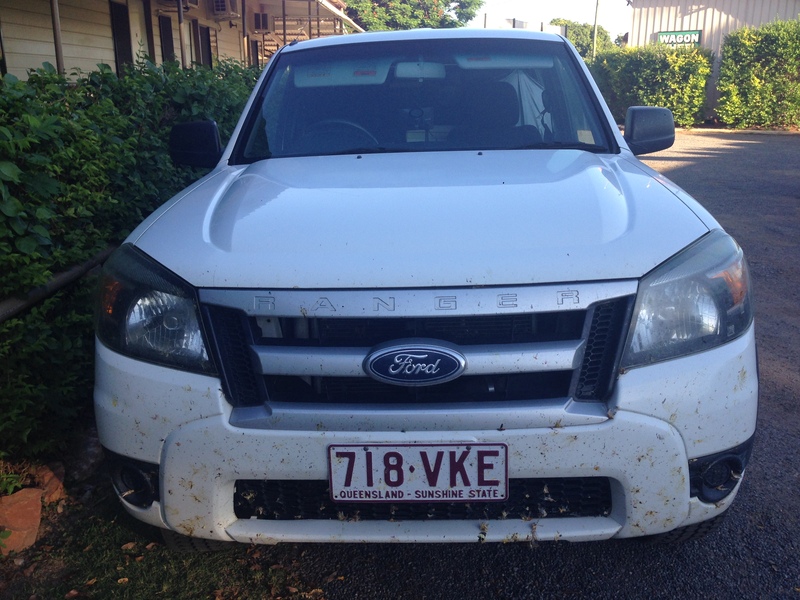 Jill has always had a habit of naming her vehicles and as such the new 4WD needed a name. So we thought of famous Fords and famous rangers…Henry and Lone just weren’t cutting it…the obvious one came up as Walker Texas Ranger…but we felt that the concept of calling a mode of transport “Walker” was a poor omen. BUT…the character was played by the infamous and seemingly indestructible “Chuck Norris”. This was seen as a good omen…so the name took care of itself…Chuck the Truck. 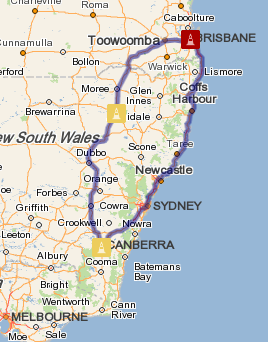 This started what turned out to be a few months of marathon driving efforts. The first little leg was to head to Canberra to collect some clothes as all we had was dirty and grotty backpacker gear. Not really appropriate for job hunting and Jill starting work. So we headed down to raid the storage shed that held our stuff. So a 2500 km round trip just to pick up some stuff. We saw friends, had good meals and generally caught up with people we had been missing over the preceding 16 months. Cruising around the ACT did give us that overwhelming “groundhog day” sensation. 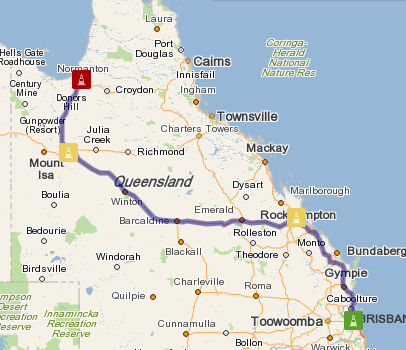 Anyway, back to Brisbane to say goodbye to the families and start the next leg of the journey. 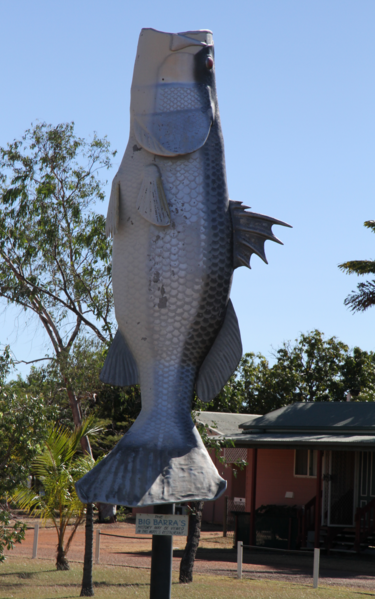 A stop in Rockhampton on the way to see one of my oldest and best mates and his family (including my godson). Jill, being her father’s daughter, turns into a machine when she drives. 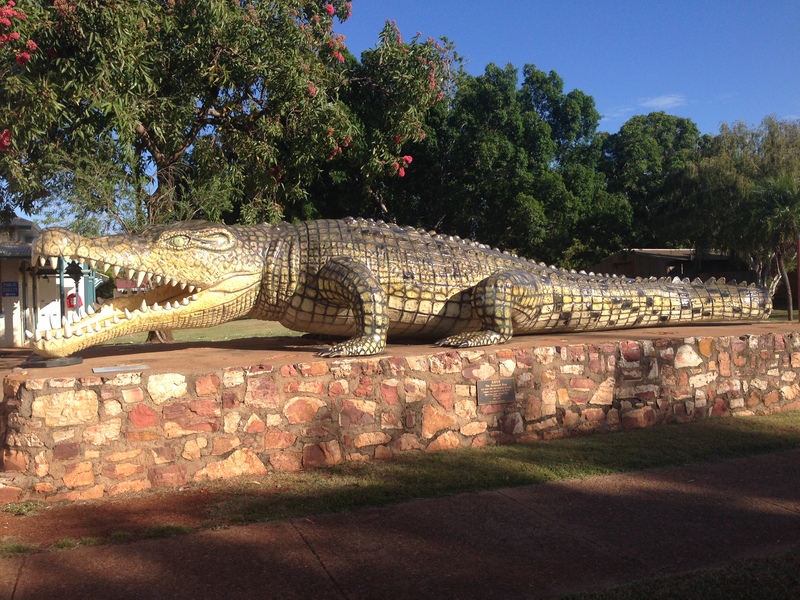 So leaving Rockhampton we passed through some historic Australian outback towns Emerald, Barcaldine, Longreach (home to the QANTAS Founders Outback Museum and the Australian Stockman’s Hall of Fame), Winton (the home of the Australian dinosaur fossils including the Australovenator wintonensis known affectionately as Banjo). Did I mention that Jill turns into a machine when its time to drive…all of these historic sites were blasted past at over 100km/h and stops were only allowed for fuel. So after 1215 kms of straight driving from Rockhampton saw us begrudgingly stopping at Cloncurry for a feed and a night at the pub. 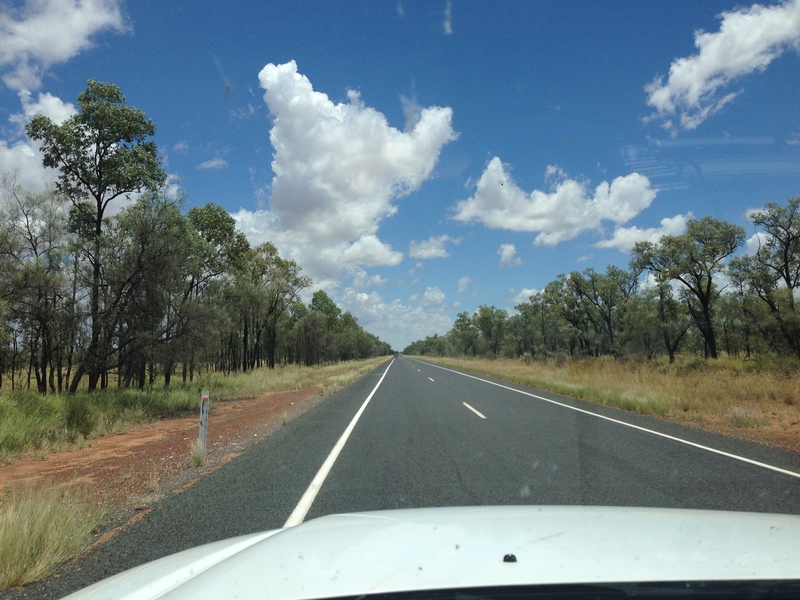 The next morning we were up, fed and on the road for the last 400km to Normanton. 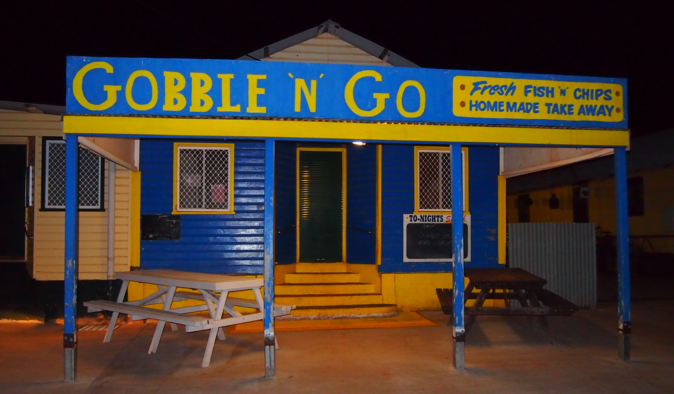 The number one restaurant in town was a take away shop called the “Gobble’N’Go” which along with the 3 pubs, saw the place fed. So leaving Cloncurry in the morning we got into town around noon on the Friday and had a few days to get settled before Jill had to start work. We got the keys to our included house and unpacked in 42 degree temperatures before meeting some of Jill’s future workmates at one of the pubs for dinner (this was to become a regular Friday evening thing). A few chats about employment opportunities for me took place but jobs were scarce and my skill set was not exactly highly sought after. The next day I met some locals at the PCYC (opposite our house) and was told of a cricket game to take place the next day. So off I went on the Sunday to immerse myself into the town as quickly as I could. Before you could blink, it was 43 degrees on a Sunday morning and I was playing in a game of cricket in a strange town and losing bodily fluids at a pace that was previously thought impossible. Jill started her job on the Monday and I spent the next few days arranging all of the logistical things that were needed. Little things that nobody who grew up in cities ever thought to consider. Things like a PO Box because the town was too small to have mail delivery, or internet dongles as there was no connections to anywhere in town. 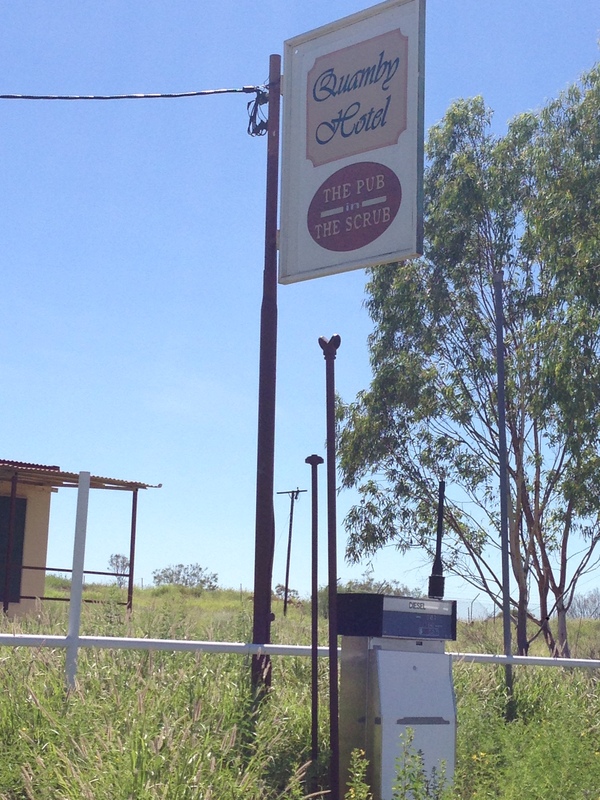 The main issue was to change my telco supplier to Telstra as no other carrier provided any service to the area. This meant that my bills went up and my service levels went down…but I did have coverage within the town. 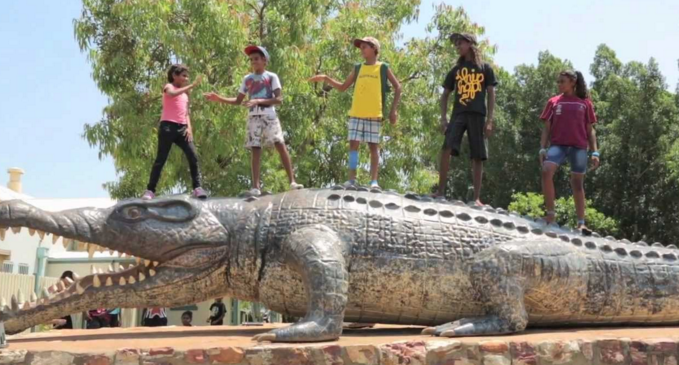 Krys the Croc – Is the highlight of the town and is the replica of an 8.63 metre crocodile that was shot on the banks of the Norman River near the town. It was shot in July 1957 by Krys Pawlowski, a 30 year old Polish immigrant. There is much skepticism as to the legitimacy of the claim. 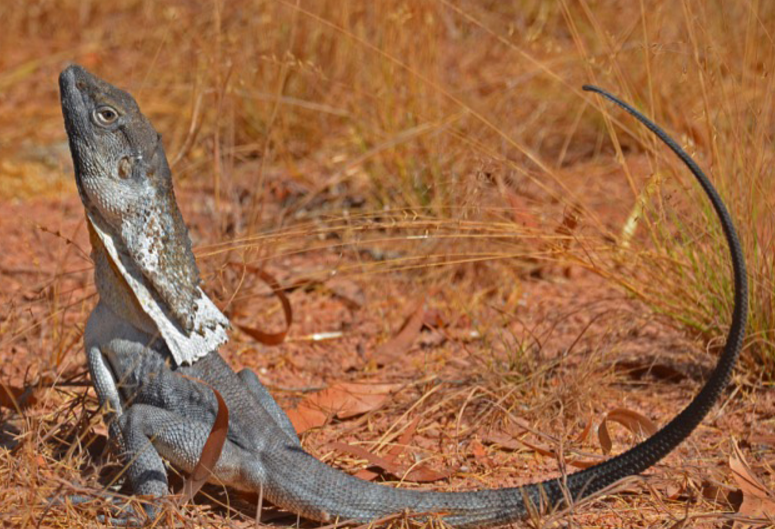 But if it is to be true then this thing is truly a dinosaur. Our time in Normanton was highly educational both in terms of country life and especially about the sort of characters that reside in such towns. The lack of activity and the seemingly innate need to gossip was something that did not sit well with me but gossip and petty squabbling did seem to be the main activity of the town. 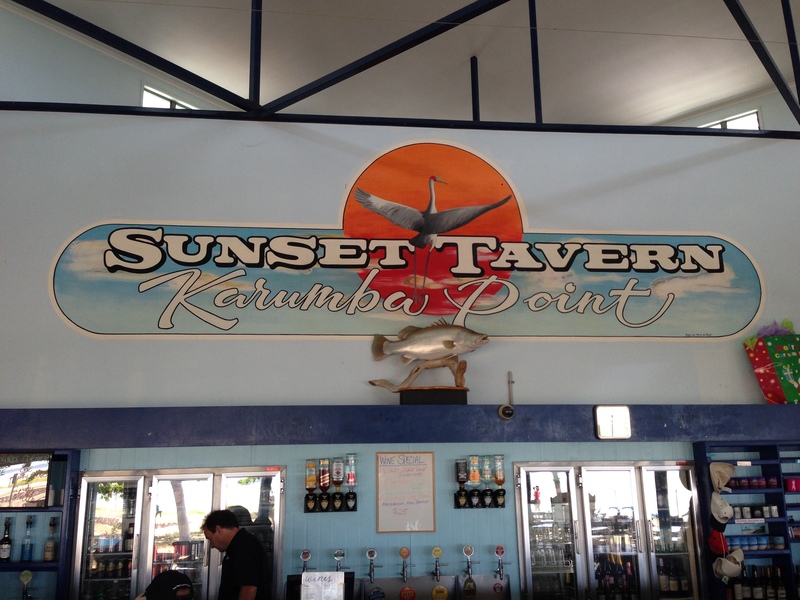 We tripped around a bit, headed up to the Gulf of Carpentaria where the prawn trawlers come in (Karumba), had meals at the famous Sunset Tavern and discovered that in the far north…cows eat cars. We found out of the way little places like the aptly named ‘Pub in the Scrub’ and stood amazed by the sheer variety and diversity of the wildlife. 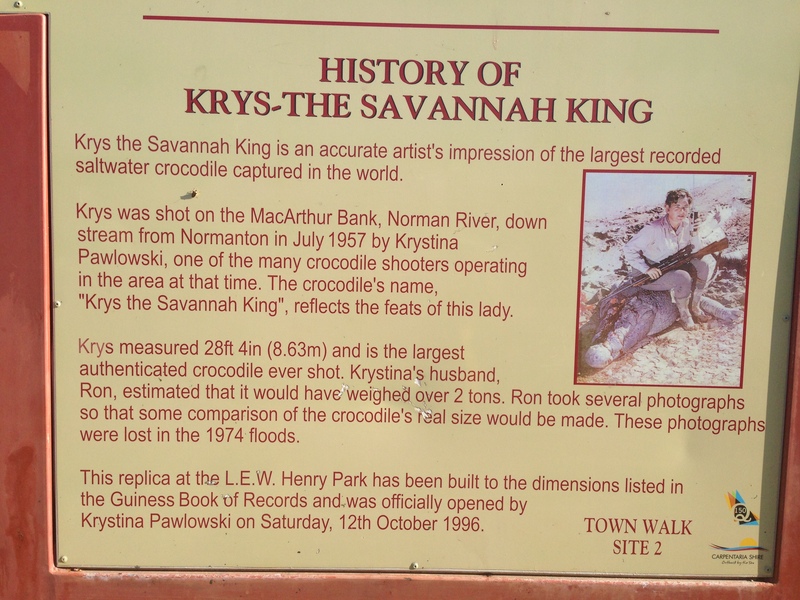 The town was full of birds of prey and the sight of wedge tailed eagles, falcons, harriers, hawks and kites was commonplace. 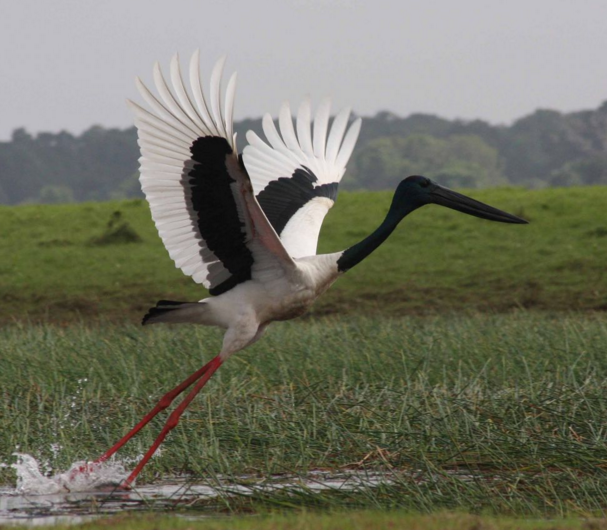 But the drive north to Karumba introduced me to the Jabiru which when seen taking off in the wild with an 8 foot wing span is seriously impressive. 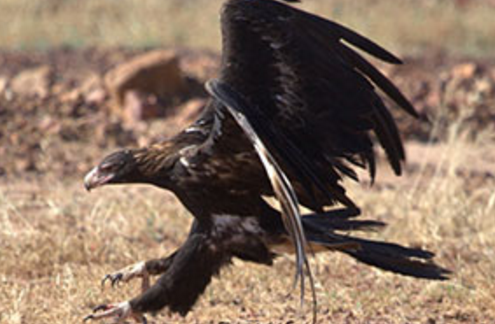 So too is seeing a wedge tailed eagle launching away from whatever roadkill the trucks have left behind. 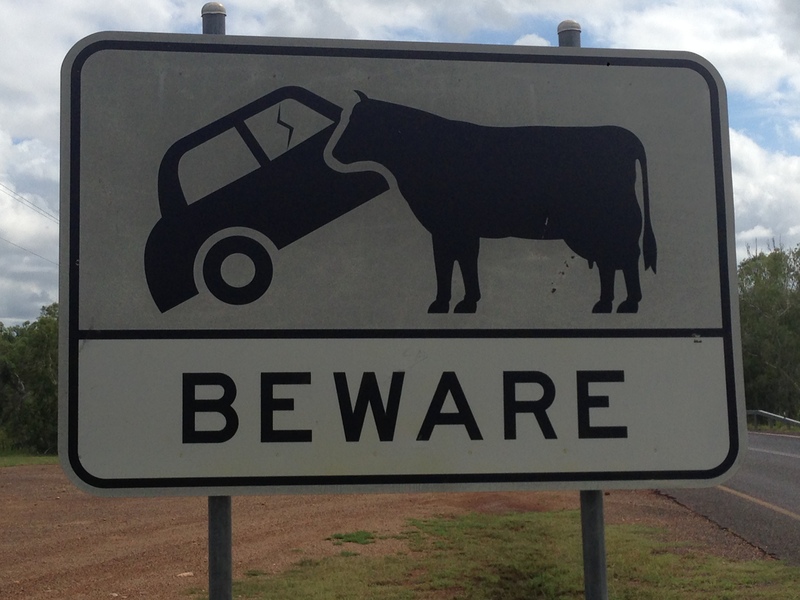 The road kill comment is possibly an interesting time to mention the sheer size of some of the vehicles that we encountered in our journey throughout the outback of Australia. 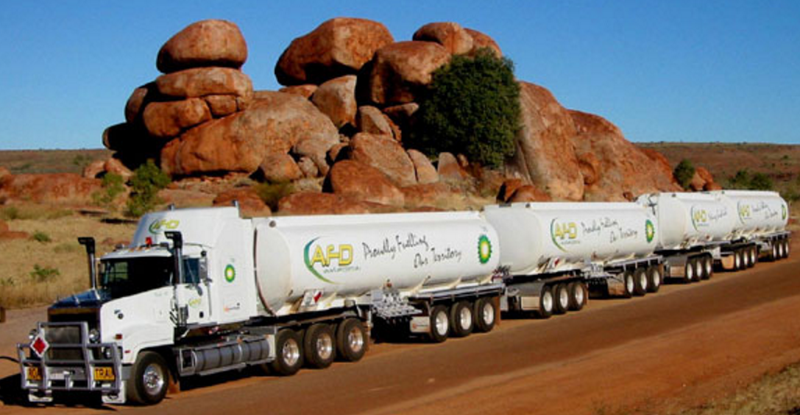 Wiki tells me that Australia has the largest and heaviest road-legal vehicles in the world,with some vehicles towing up to 200 tonnes. 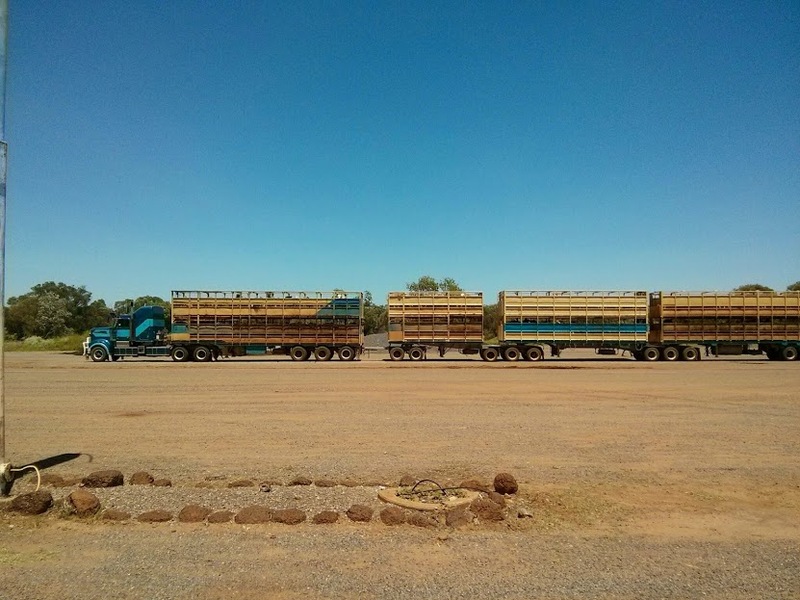 This means little to most of us however for the city folk out there seeing a semi-trailer is commonplace, a BDouble too is fairly common but the double road train is less frequent but still not rare. Above this you start to see things like triples, AB-quads (B double with two additional trailers coupled behind) and full quads. These almost only operate on remote highways but do pose some serious overtaking challenges, particularly as the biggest trucks extend beyond the 50 metre mark or 174 feet. 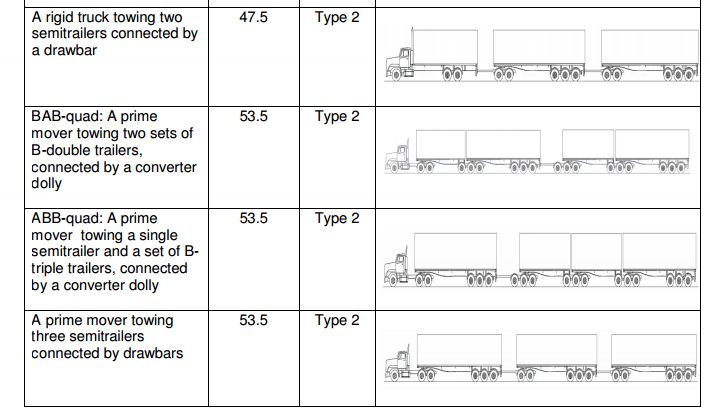 While these trucks are seriously long…they are nothing when compared to the trains that operate between Rockhampton and the coalfields. Trains of 100 wagons is commonplace and recently a record was set with one train having 136 wagons with a total length of 2.3 kilometres. Thankfully these run parallel to the roads and do not need to be passed or overtaken. Wow, nice to hear of your outback adventures. Good to know you share our approved Ford Ranger, though yours seems a tad younger. Now you will appreciate our four year road trip. Trust you are well and happy. Do contact us if you come to Melbourne.